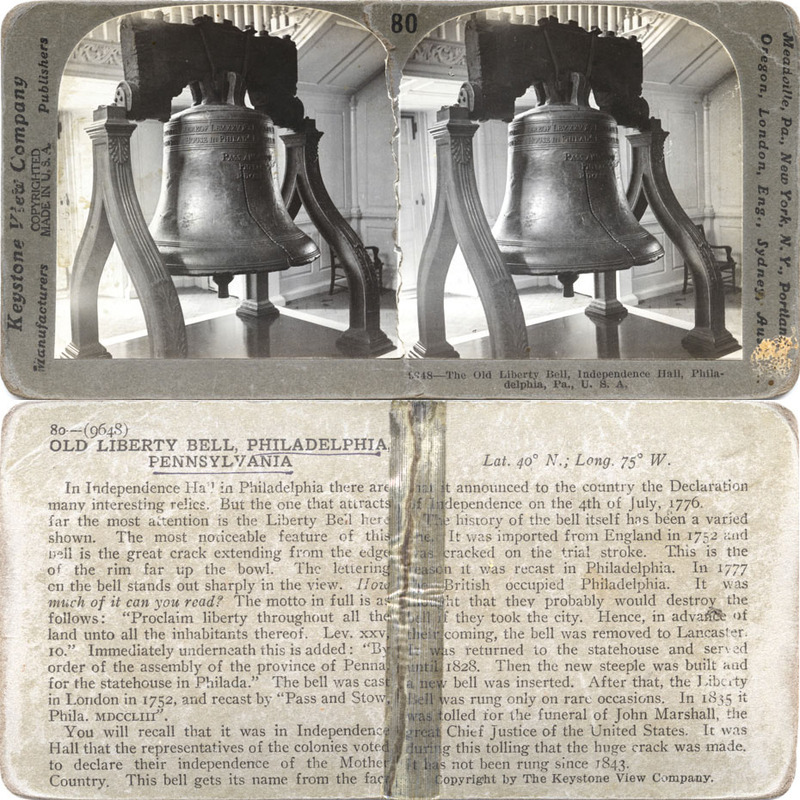 We're continuing our summer tour, circa 1900, visiting the Liberty Bell in Philadelphia. When I saw it a few years ago I was surprised how small it was. It is such an icon I just assumed it would be enormous. Arthur, your comment regarding the size of an icon like the Liberty Bell gave me a flashback to when I run into my musical hero from back in the day--Willie Nelson. I came around the corner of a small airport in Alaska and there he stood. I thought he should be a giant, but he was just a little guy. This doesn't have much to do with our historic and patriotic Liberty Bell, but, when I was a kid, I was watching some western movie with actor Alan Ladd. Maybe the movie Shane. Anyway, I made the comment that I thought he was handsome. My dad scoffed and said he had to stand on an apple box to kiss the ladies. I have not been to Philadelphia to tour our national historic sites. It is on my bucket list. But not during the summer time. I read a book about the plague of the mysterious yellow fever in Philadelphia. Those that could afford to, left the city in the summer time. The first tine I saw Mt. Rushmore was from an airplane at 40,000 feet. The heads were tiny! Arthur, you reminded me that the first time I saw Mt Rushmore I was at the visitor’s center and I was 6. They looked HUGE to me. Yellow fever was even worse in the summer in the south where they had bayous and swamp land. Whole families were wiped out in one summer episode. Always brings to mind Gen. John Bell Hood, CSA. He had enough personal wounds during the war, only to marry afterwards and have 10 children in fast succession, some twins and both him and his wife died of Yellow Fever within a few days of each other in New Orleans leaving 10 orphans.